Tell Us Your Favorite Family Holiday Recipe or Fun Family Tradition for Free PJs and Publishing in our E-Book! Hello and thank you for visiting Footsteps Clothing and allowing us to be a small part of your family! We are thrilled to have gathered some amazing and unique family holiday traditions from customers through the years and we are publishing them online and in an upcoming holiday e-book. We would love to include yours and, of course, note the amazing family it derived from. We had such a wonderful response last year from our PJ giveaway for those who shared with us we decided to offer it again this year. A random winner will be drawn from entries by November and free PJs will be awarded (up to 4 pair). That’s it! We intend to publish and promote your contributions online, in our blog and in an upcoming holiday e-book. We sometimes get picked up for newspaper, magazine and television media, so your family could be famous. See our last year’s segment on MSNBC. As always we are thrilled to be part of your family holiday celebration and please don’t hesitate if I can assist you with anything. Matching Christmas Pajamas in adult sizes with matching kids playwear outfits now available for 2013 in many new designs. 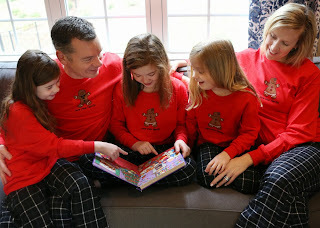 Matching Christmas Pajamas for the whole family (pajamas in adult sizes; playwear clothing sets in childrens sizes) is a popular, fun family tradition. While some families wear them all holiday season long, others choose to select a fun Christmas PJ set and give them out on Christmas Eve as a special gift tradition. While the opening of matching Christmas pajamas in itself is a fun holiday tradition, there are some other fun activities and ideas you can do with your family while wearing them on Christmas Eve. 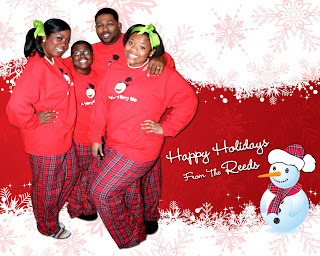 These unique and clever holiday tradition ideas come to us from customers, family members all over the world and special friends we have made during our years in business creating fun family clothing for families. This years I decided to write them down for everyone to enjoy. Feel free to pick and choose, modify, embellish and add-on to the fun traditions that other families enjoy on Christmas Eve. And if you have a great Christmas Eve tradition that you share with your family, please be sure to tell me at amber@footstepsclothing.com. As always, the most important thing is to spend quality time with family and enjoy them to the fullest. 1. Baking Cookies for Santa – After opening your special Christmas Eve gift, head into the kitchen and bake Santa up some special cookies just for him. Don’t forget to take pictures and write him a note. 2. Watch a Classic Holiday Movie – Gather around the TV and watch a classic holiday movie. You can choose some of the time-tested old movies such as Miracle on 34th Street or a new release with all the modern bells and whistles like Elf. The important thing is to choose something everyone will enjoy and snuggle up together. 3. Read aloud a Classic Holiday Story – This Christmas Eve tradition is fun no matter how old the family is. Choose a family member to read and pick a classic holiday story to read aloud. Have everyone gather around. For a fun twist, distribute sound effect duties to different family members such as “Ho! Ho! Ho!” or reindeer feet on the roof to get everyone interactive and involved. Choose a fun, creative story from the classic The Night Before Christmas, to a new fun twist such as The Pajama Elves by Hayden Edwards. 4. Decorate the Tree – While many families choose to trim the tree early in the holiday season, some families love to decorate it on Christmas Eve. Wearing your matching Christmas Pajamas while decorating the tree makes it more fun. Don’t forget to put on some holiday tunes and sip some holiday drinks while you have fun decorating the tree. 5. 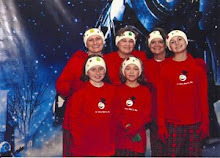 Attend Midnight Mass – How fun to go to church on Christmas Eve with the whole family wearing matching jammies! Not only does wearing matching pjs to church services promote a sense of the true Christmas spirit, but also shows family unity. And of course, everyone will love all the attention you get! ** Disclaimer: This article is provided for informational and entertainment purposes. Footsteps Clothing sells pajamas in adult sizes only and does NOT sell pajamas in childrens sizes. All outfits in childrens sizes are designed as playwear and not intended for sleeping activities. 2. Women love fun, comfy pajamas to RELAX IN! In our efforts to create unique pajamas for women, we have designed some lounge sets just for her that celebrate her interests. Check out this list of 5 special pjs designed just for women who have fun hobbies and interests. Getting her a gift that shows you know what she likes is a gift all by itself. Do you recognize the woman in your life in the fun categories below? If she has interests and loves that you recognize in this list, check out the special pajamas we designed just for her. These 5 fun pajama sets make great gifts for the holidays, her birthday, special thank you, anniversary, Valentine's Day or any special occasion. Do you know a who loves posting on Twitter, uses fun hashtags as if its part of regular conversation? Maybe she has a special hashtag for her family, or bunco group, or church gathering, or school function. Maybe its a college girl with a sorority hashtag or a woman who loves to read and always seeking #goodbooks. 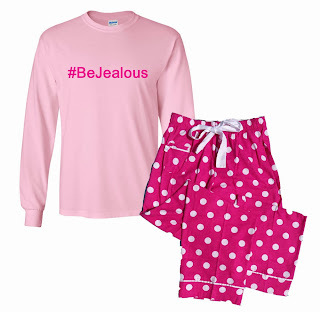 Whatever she tweets to the world about, you can personalize these fun Hashtag pajamas for her. That pretty much says it all. 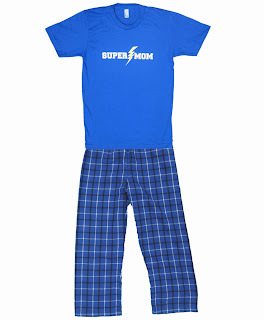 If you know a woman who loves being a mom and who really does it all like Superwoman, you can show her how much she is appreciated with these Super Mom Pajamas. 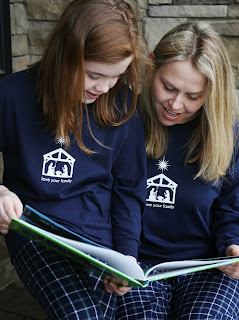 Whether its the woman of the house or she's off to college or just always has her family on her mind and sends random texts every day to show them how much they mean to her, these Love Your Family classic pjs in a text message design are ideal to show her that you appreciate her thoughts and messages. Do you know a woman who is a hugger? Loves to hold hands, sit close and is all around affectionate by nature? These SMAXX kissing PJs for women is a great idea. She can hug and kiss all she wants wearing these fun PJs! 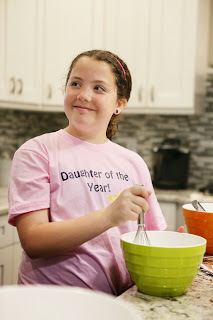 If she loves to bake cookies at holiday time or just bake anything during the holidays, these fun Gingerbread Woman pajamas will be great for her to wear while she's baking and cooking and have a merry time in the kitchen. Please feel free to stop by our website and see all the many Unique Womens Pajamas designs we offer. As always, please feel free to contact Amber should you have any questions or any ideas you would like to see offered. We create new designs all the time and many of our best ideas come to us from our amazing customers. Thank you for being part of our Footsteps family! 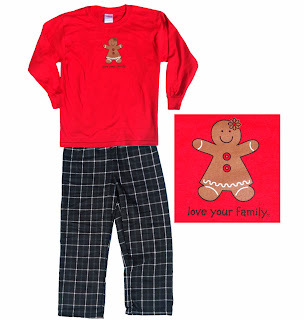 Family Christmas Pajamas (adult sizes) & Matching Outfits for Kids are Here! 2014 Footsteps Clothing LLC All Rights Reserved. Awesome Inc. theme. Powered by Blogger.